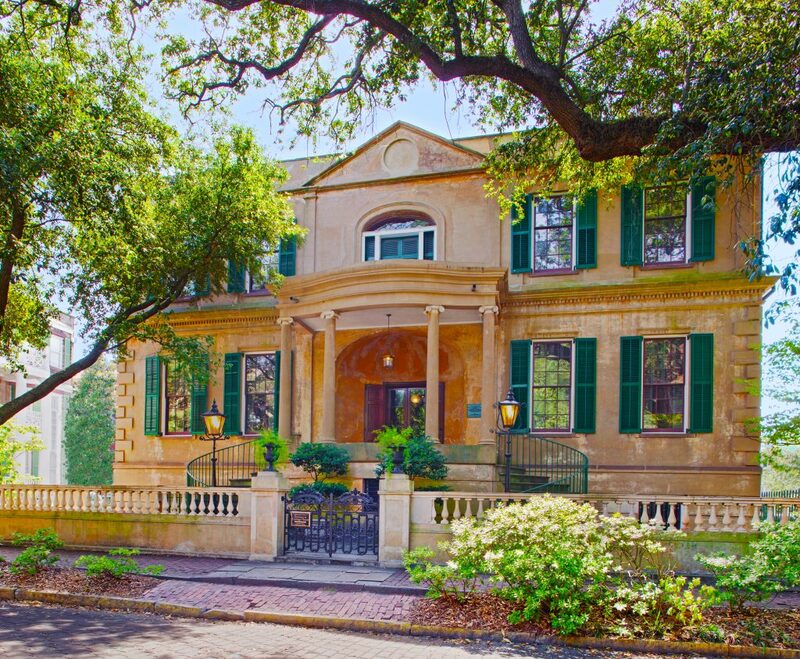 Telfair Museums offers a unique understanding of Savannah’s place in our collective American past through art, history, and architecture. Mary Telfair’s 19th-century vision has uplifted the people of this city and beyond for more than a century. Her legacy continues to inspire. 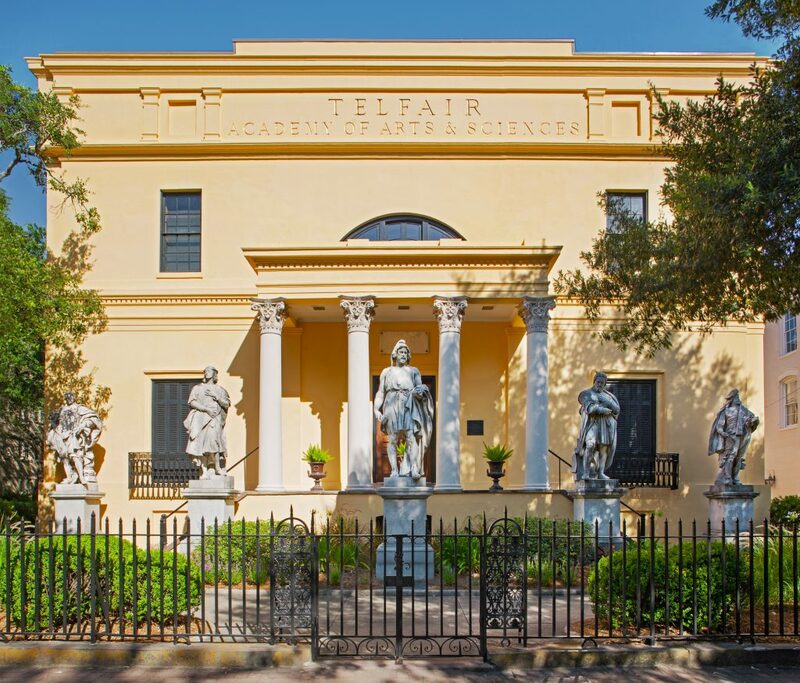 Located in Savannah’s Historic District, Telfair Museums is comprised of three unique sites. Tickets include a visit to all three sites and are valid for one week from time of purchase. Designed by architect Moshe Safdie, winner of an AIA Gold Medal. Opened to the public in 2006. Consists of 7,500+ square feet of gallery space. 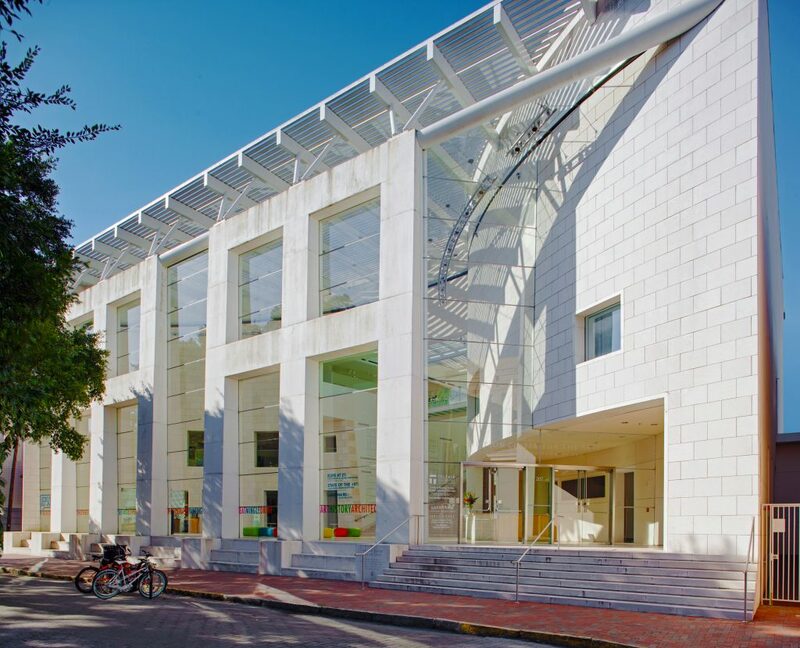 Boasts 220-seat auditorium, community gallery, technology gallery, education studios, sculpture terraces, and interactive ArtZeum. Includes work of notable American artists and the original iconic Bird Girl statue. Houses the Kirk Varnedoe Collection, including works by Jasper Johns, Chuck Close, Roy Lichtenstein, Jeff Koons, Robert Rauschenberg, Cecily Brown, Frank Stella, Kiki Smith, and Richard Avedon. Designed by William Jay in neoclassical Regency style. Completed in 1819 as a residence for Alexander Telfair. Bequeathed to the Georgia Historical Society by Mary Telfair in 1875. Opened to the public in 1886 as the first public art museum in the South and the first museum in the United States founded by a woman. Houses 19th- and 20th-century American and European art. Includes major paintings by Childe Hassam, Frederick Frieseke, Gari Melchers, Robert Henri, George Bellows, and George Luks. Contains three 19th-century period rooms. Designed by William Jay in the English Regency style. Housed 14 enslaved people on the property by 1840. Bequeathed to the Telfair Museum of Art in 1951. Boasts decorative arts collection including Owens family furnishings. Includes American and European objects dating from 1750-1830. Features one of the earliest intact urban slave quarters in the South.